Edo State Governor, Mr. Godwin Obaseki has extolled the virtues of late Engr. Bright Uwagboe Omo, describing his legacies as ennobling. The governor, who said this at the burial ceremony of late Engr. Felix Bright Uwagboe Omo in Benin City, maintained that the entrepreneurial prowess displayed by Engr. Omo while he lived captured the spirit of a true Edo man and Nigerian, who made the best of opportunities thrown at him. He added that it was soothing that the late Engr. Omo left behind indelible legacies and offsprings that will sustain his virtues. Notable dignitaries in attendance are the Deputy Governor, Rt. Hon. Philip Shaibu; former Minister of Finance, Usman Shamsudeen; Secretary to the State Government, Osarodion Ogie Esq. ; Chief of Staff to the Governor, Chief Taiwo Akerele; Edo State Chairman, All Progressives Congress (APC), Barr. Anslem Ojezua. Others are Chairman, Strategic Planning Team, Prof. Julius Ihonvbere; legal luminary, Riki Tarfa (SAN), as well as commissioners and other top government functionaries. Late Engr. 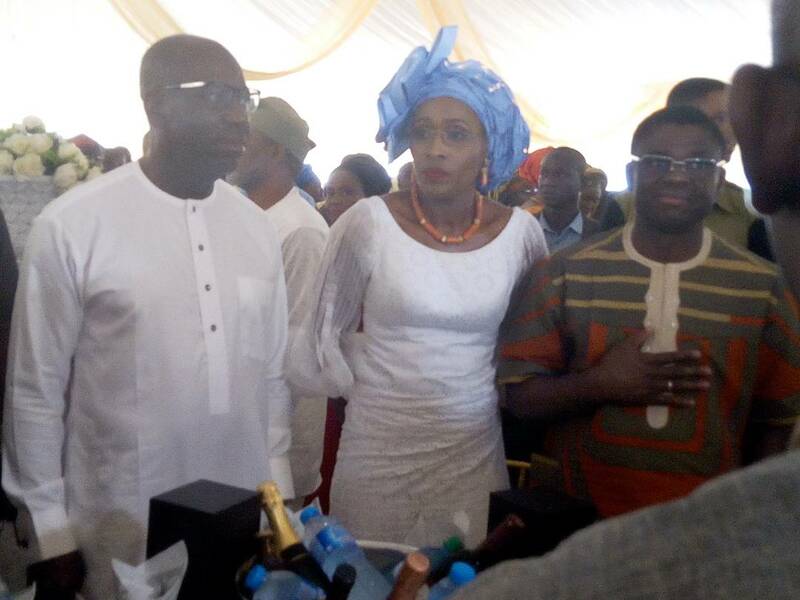 Omo was father to Isoken Omo, the Executive Chairman, Edo Development and Property Authority (EDPA). Meanwhile, the governor who was also at TV Road to attend the burial ceremony of late pa Agbongiaruoyi Ereyi Usoh, called on the children to emulate the good life of their father. He said late Pa Usoh, who died at the age of 98 years, was a true Edo man whose life was a shining example. He called on the children to be united to carry on with his good legacies. Obaseki was later joined on the occasion by former governor of Edo and Delta State, Lucky Igbinedion and James Ibori respectively. Edo State Governor, Mr. Godwin Obaseki; Executive Chairman, Edo Development and Property Authority (EDPA), Isoken Omo and Deputy Governor of Edo State, Rt. Hon. Phillip Shaibu, at the Burial Ceremony of Late Engr. Felix Bright Uwagboe Omo, in Benin city, at the weekend.